There is a great need for people who can make wise decisions about the moral and ethical issues facing the workplace, the community, and the larger world. You can be one of those people. 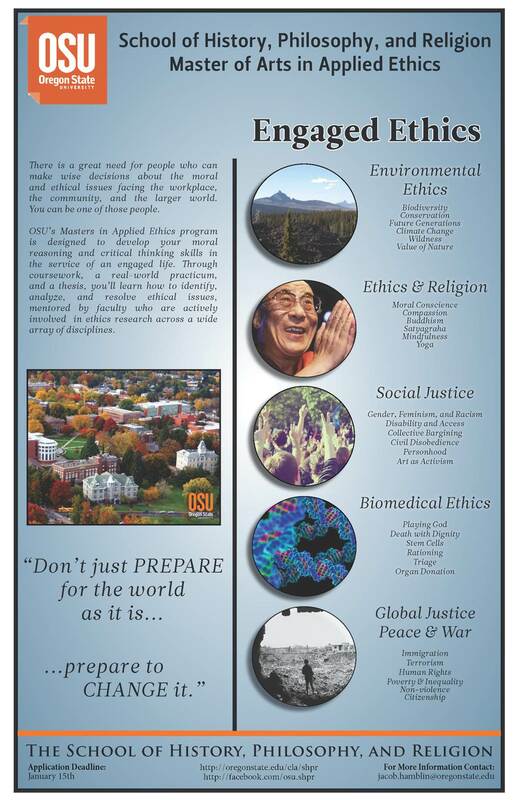 OSU’s Masters in Applied Ethics program is designed to develop your moral reasoning and critical thinking skills in the service of an engaged life. Through coursework, a real-world practicum, and a thesis, you’ll learn how to identify, analyze, and resolve ethical issues, mentored by faculty who are actively involved in ethics research across a wide array of disciplines. There are five primary areas of research specialty in our department For information see the department’s website or download the flier. Don’t Just PREPARE for the World as it is…..Prepare to CHANGE it! 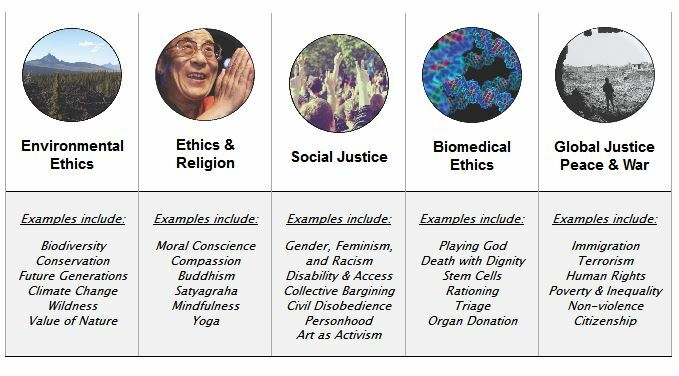 This entry was posted in On the Net and tagged Applied Ethics, bioethics, Environmental Ethics, Environmental Humanities, Environmental Justice, Interdisciplinary, MA program by iseeenviroethics. Bookmark the permalink.